The Delhi Police on Monday arrested Shashank Sharma, an animal rights activist, in connection with the attack on cattle traders in Kalkaji on Saturday night. According to the police, Sharma claims to be a part of Union Minister Maneka Gandhi NGO People For Animals (PFA). Gaurav Gupta, another prominent PFA member, has also emerged as a suspect. 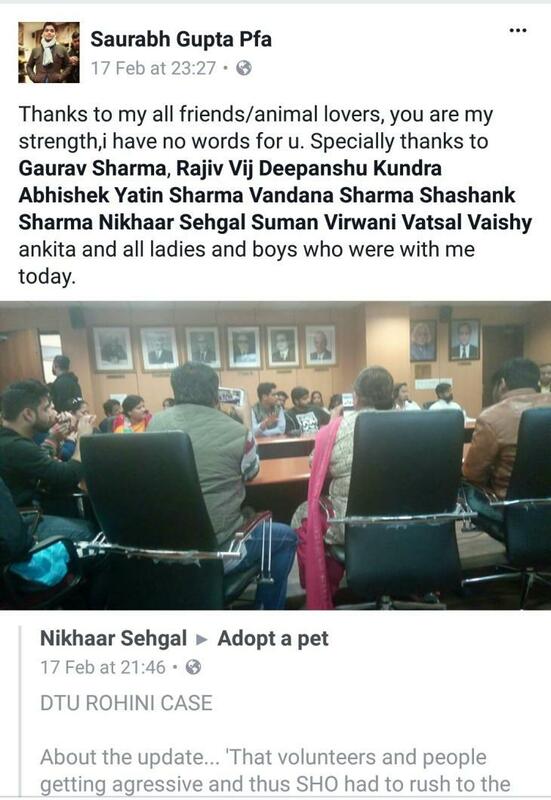 There is a post on Facebook in which Sharma can be seen in volunteer meetings with another prominent PFA member Saurabh Gupta, the brother of Gaurav. Catch has a copy of the FIR in which one of the victims, Rizwan, states that his attackers came in a car which had a PFA sticker. Recounting what happened on Saturday night, Rizwan states in the FIR, "At Chiragh Dilli, a few cars began following us and at Kalkaji Mandir, one of the cars came and stopped in front of the truck..A group of people came out of the cars and began thrashing us. 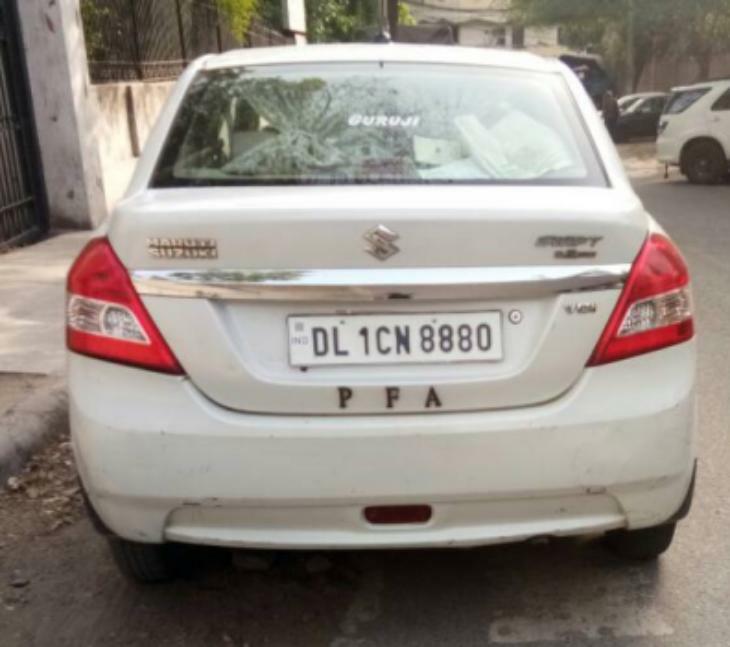 A car (registration number DL1CN 8880) had PFA written on it." Rizwan then goes on to describe the injuries he and two of his helpers - Ashu and Kamil - suffered because of the attack. PFA has denied being involved in the attack. 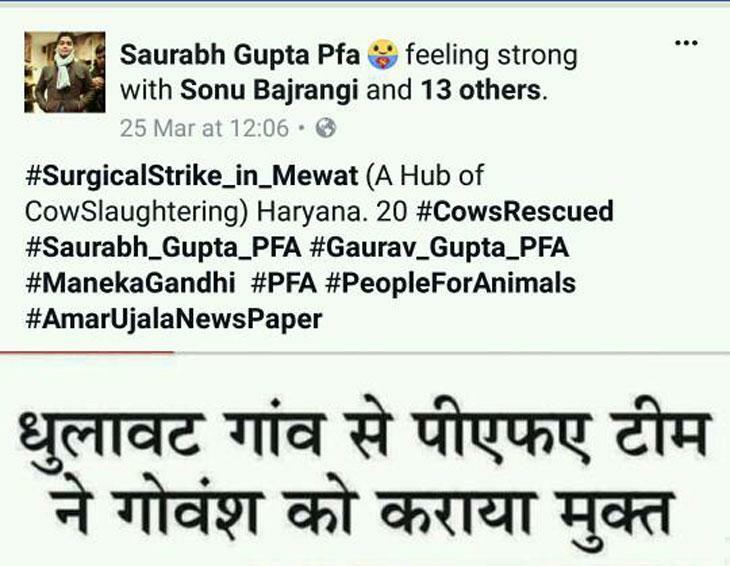 PFA activist Gaurav Gupta issued a statement denied any connection with the attack. Gupta, however told the media on Sunday that he was present there and filed a complaint against the three victims - Rizwan, Ashu and Kamil - under the Prevention of Cruelty to Animals Act. When Catch spoke to him on Monday, a visibly scared Gaurav denied being present and said he wasn't even an animal rights activist. But later he could be seen defending the PFA in the media again. 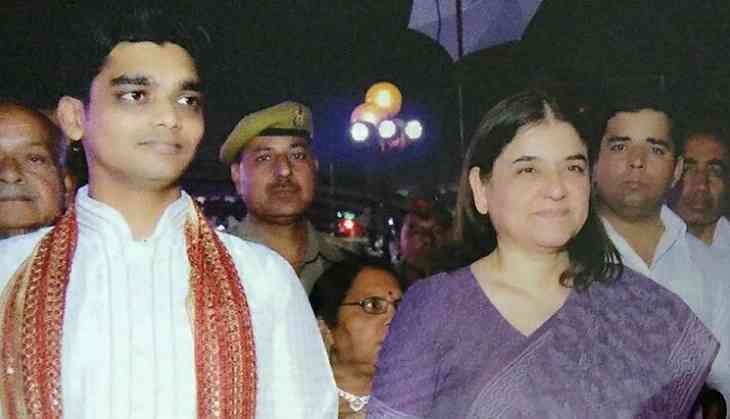 In the FIR against the cattle traders, Gaurav Gupta has given his address as 14, Ashoka Road, which happens to be the residence of Maneka Gandhi. Two things need to be examined here: the role of PFA activists in vigilantism and the nature of PFA itself. And both these aspects can be understood through two important players in the entire game - Gaurav and Saurabh Gupta. 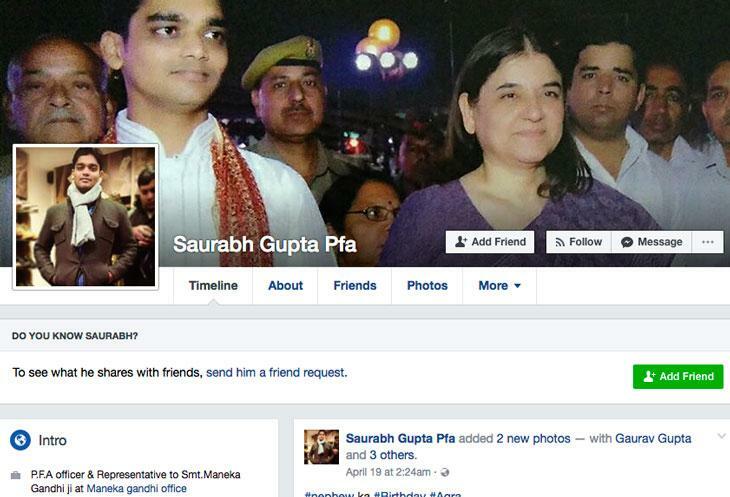 A close look at Saurabh Gupta's Facebook timeline reveals a definite propensity for vigilante action. In his intro, Gupta identifies himself as "PFA Officer and Representative to Smt Maneka Gandhi ji at Maneka Gandhi office". His cover picture is also of him with Maneka Gandhi. A number of his posts are pictures or videos of vigilante "raids" on cattle-traders. The latest video is from April 15 of a "raid" he claims to have conducted at 3AM in Delhi. He dramatically describes the raid as "cattle smuggling exposed by Gaurav and Saurabh Gupta". Interestingly, he tags Prime Minister Narendra Modi and Uttar Pradesh Chief Minister Yogi Adityanath in his "raid" related posts. On March 25, Saurabh posted a news item about a cattle raid in Mewat. He terms the raid as a "surgical strike" by Gaurav Gupta and him and dubs Mewat as “the hub of cow slaughtering". Muslim-dominated Mewat seems a key area of activity for the duo and cow vigilantes in general. Pataudi, where the victims of Saturday's attack come from, is only a short distance from Mewat. Cattle-farmer Pehlu Khan, who was recently killed by Gau Rakshaks, was also from Mewat. In September last year Gau Rakshaks allegedly gang-raped Muslim women in Mewat, as a "punishment for eating beef". Gupta also very clearly appears to be a BJP supporter. 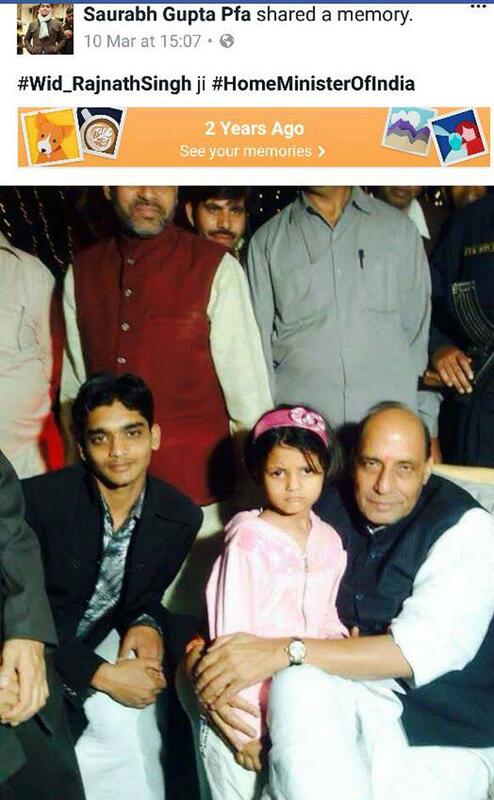 He has posted pictures of himself with Rajnath Singh and of a man he describes as his "brother" with Yogi Adityanath. 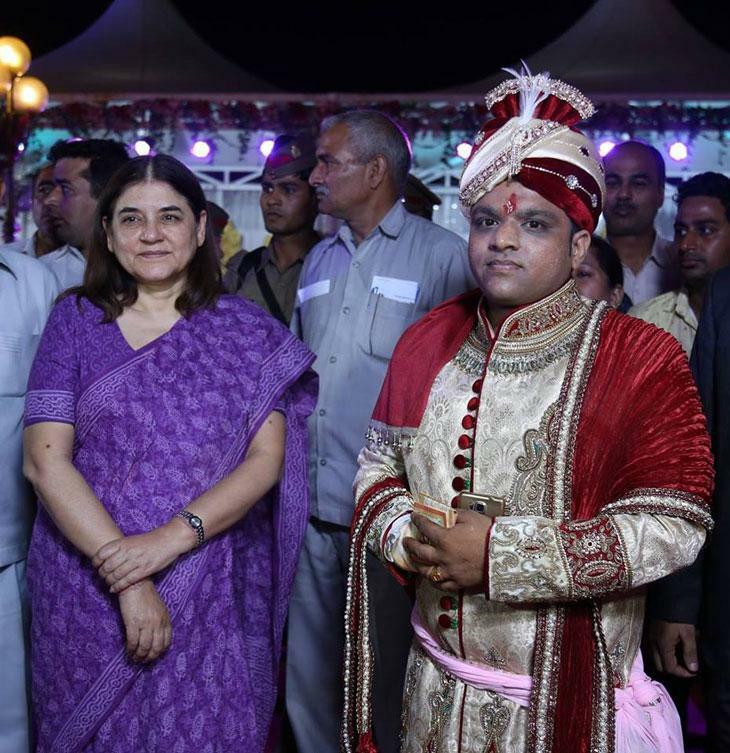 Gaurav Gupta's profile picture is also of him with Maneka Gandhi. And in the run-up to the 2014 Lok Sabha elections, he has appealed people to vote for Modi. Saurabh Gupta dedicated a number of posts to celebrating the BJP's victory in the Uttar Pradesh Assembly elections. One post, dated March 19, is particularly instructive. He says: "Many times when I felt sad, I used to tell Maneka madam 'What should we do? How will things happen?' She would say 'Bacche, our time will come'. I thought that when madam becomes minister, our time would come. But that didn't happen. Now I feel once again that our time has come. BJP has given us immense joy by making Yogi ji the CM. Perhaps, God has answered our prayers," he writes on the day Yogi Adityanath was appointed as the Chief Minister of Uttar Pradesh. What clearly emerges from Saurabh's Facebook timeline is a definite overlap in his activities as an animal activist, a BJP supporter and a vigilante. The arrested Shashank Sharma is a Facebook friend of both the Guptas. In one Facebook post, Saurabh thanks Shashank among others after a meeting. But even as Gaurav and Saurabh Gupta defend PFA and distance it from Saturday's violence, the organisation seems to be trying to distance itself from the duo and Shashank. Maneka Gandhi's office told the media, "We have no PFA unit in Delhi. We have 10,000 volunteers across the country. Whoever acted did so in his individual capacity," Gandhi's office said. "The PFA does not issue any vehicle sticker. Also, the two brothers have a propensity and history of such acts from which we completely disassociate ourselves. We can't be moral guardians of lakhs of people who pay Rs 100 and become members of the PFA. If they have done anything illegal they should be penalised." PFA trustee Gauri Mulekhi told PTI. But the matter isn't so simple. In the past, Maneka's office has intervened in cases where the Gaurav and Saurabh Gupta got into trouble. In August 2014, Saurabh and other PFA activists had a confrontation with the then SSP of Ghaziabad Dharmendra Yadav. PFA had raided a school where a langoor was allegedly been put in a cage. The school reported the raid to the police, which arrested a PFA activist and threatened to book him for extortion. Maneka Gandhi called up the SSP, who refused to take her repeated calls. Gandhi then complained to Union Minister Gen (Retd) VK Singh, who is also the MP from Ghaziabad. Singh forwarded the complaint accusing SSP Yadav of misbehaviour, to the then CM Akhilesh Yadav. So Maneka Gandhi's intervention in this case is in contrast to the PFA management's present explanation that it has discouraged the Gupta brothers' actions. 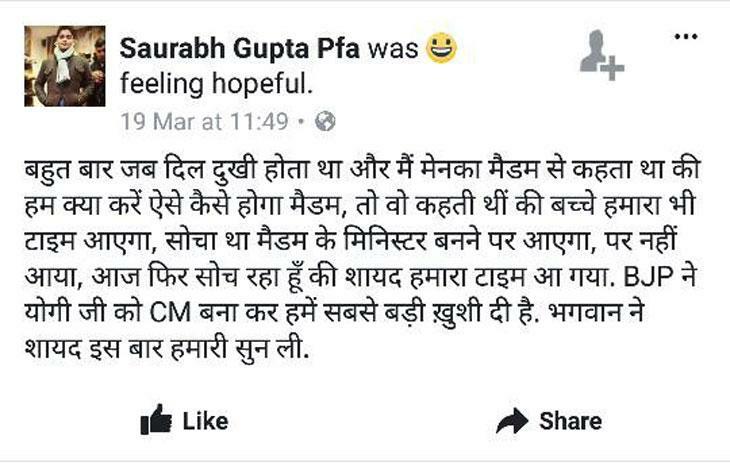 Incidentally, one of Saurabh Gupta's Facebook posts after the BJP's victory in Uttar Pradesh said that “now Yadav officials will have to wind up”. Perhaps the run-in with SSP Dharmendra Yadav could have contributed to his dislike of Yadav officials. PFA members in the past have collaborated with Hindutva activists in carrying out cattle raids. In June 2014, PFA and RSS activists attacked cattle traders and allegedly even set a vehicle on fire at Delhi's ITO. According to an Outloook report from 2016, PFA goes and captures animals along with Gau Raksha groups. PFA's veterinary hospital is sprawled on an unnamed rural road in Sadhrana, two hours from Delhi. It is managed by former corporate executive Saptarishi Ray, an avid animal lover. "Gau rakshaks tell us about cattle transporter's movements. We rescue cattle too. " Saptarishi Ray, who manages PFA's sprawling veterinary hospital in Sadhrana, told Outlook. Ray openly boasts in the story that he doesn't release captured camels even when courts ask him to do so. Animal rights organisations have often been accused of seizing animals that were being transported legally and creating hassles in the release of the animals. "Some animal rights activists also sell the seized animals or extort money from the owners in return for their release," a cattle trader from Rajasthan told Catch. Saturday's vigilante violence also doesn't seem to have been a clear-cut case of rescuing animals. According to Ehtesham Hashmi, the victims' lawyer, some of the cash the victims were carrying was stolen and mobile phones are also missing. Then there is the eyewitness Khadeeja Farooqui, who told Catch that the vigilantes were shouting “Jai Shri Ram” while thrashing the cattle traders and that they also tried to gather a mob to join the violence. In this context, it may also be noted that the vigilantes chose the vicinity of a popular temple – Kalkaji Mandir – to attack the cattle traders. Modi's Vision 2032: Will every Indian really have a home, AC and car? READ NEXT >> Modi's Vision 2032: Will every Indian really have a home, AC and car?